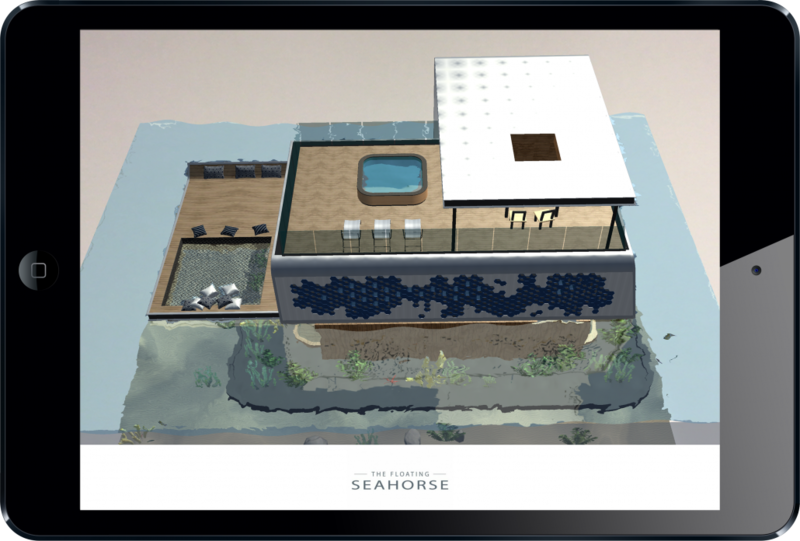 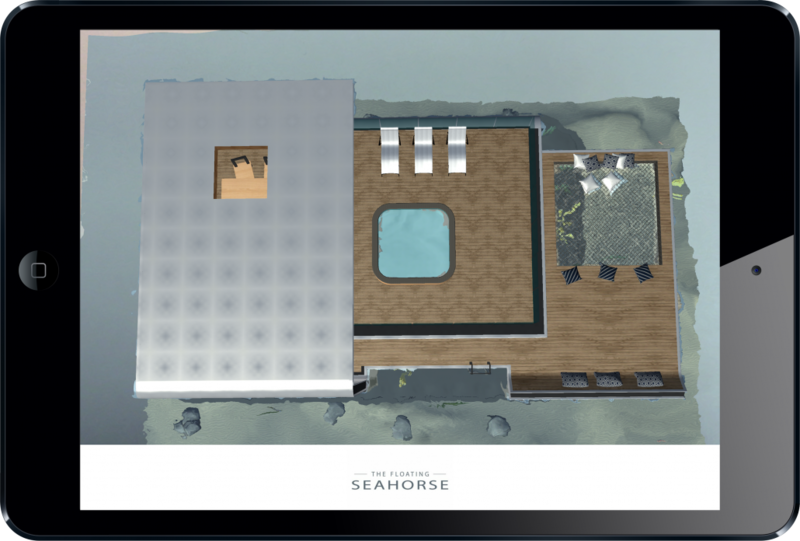 This app was made for the Dubai Seahouse – The Floating Seahorse project. 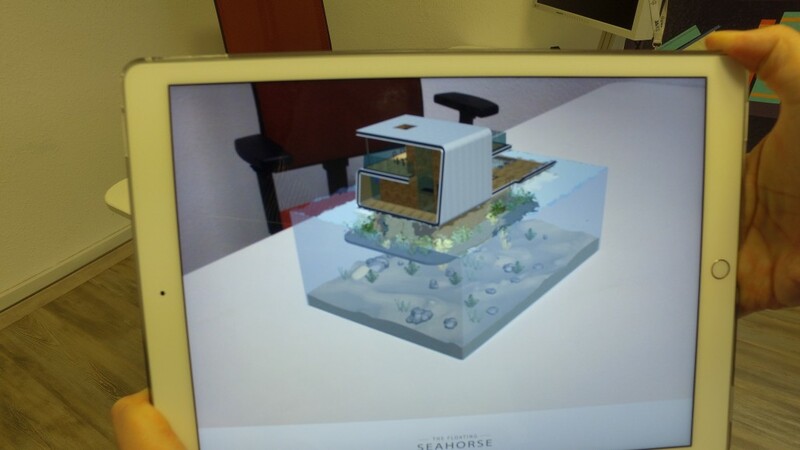 Users put the designed marker in front of the tablet to see the 3D building appearing as it is floating on the sea. 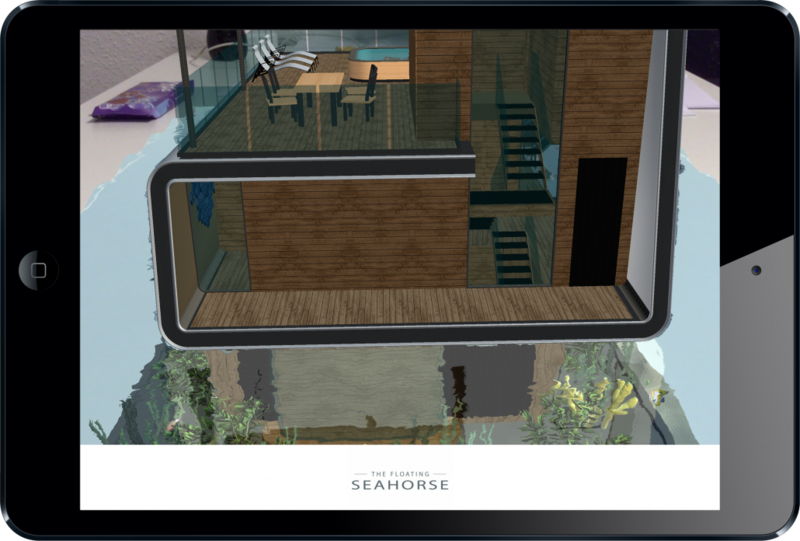 The Floating Seahouse has 3 levels, one is under the sea level, providing a spectacular view by rotating and moving the marker in different directions. 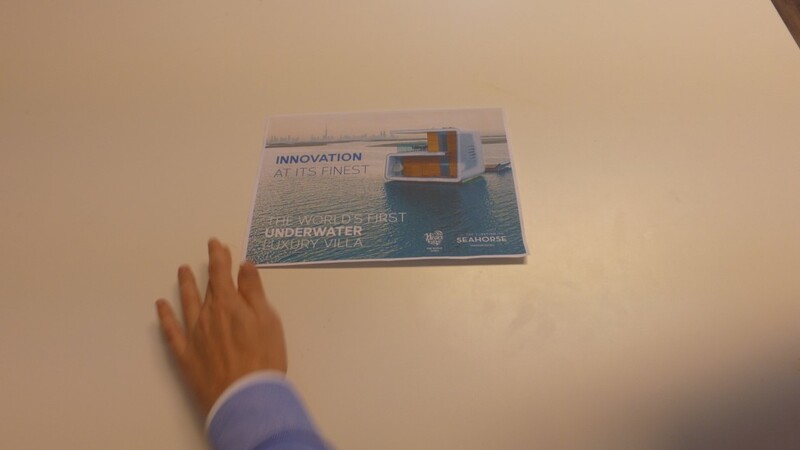 The project had some challenges that require advanced 3D solutions: creating water waves, implementing a 3D building with high polygon numbers and creating reflected light on the surface of the water. 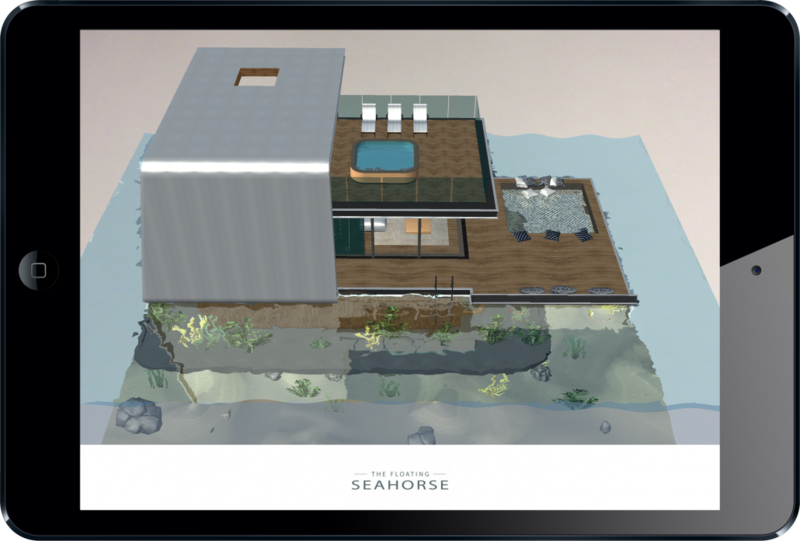 We optimized the app for iPad Pro devices that provide the necessary hardware and we hope that the next step will be creating this content in Virtual Reality, as well.